Major League Baseball is working the angles with New York lawmakers. 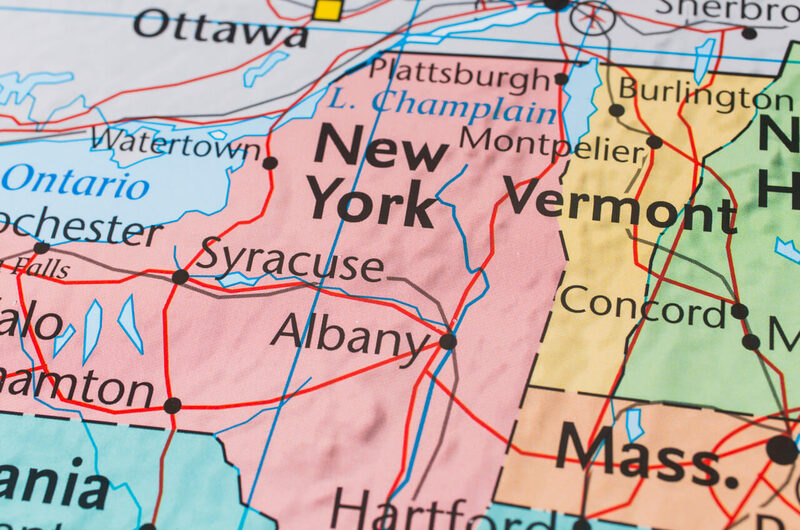 In recent months, the league has shuffled several of its local cast members through Albany to advocate for regulated NY sports betting. Joe Girardi and Joe Torre were the most recent to appear. The last two managers of the New York Yankees each paid a visit to the capital over the past two weeks, urging lawmakers to adopt updated provisions proposed by their league and others. “The game has meant so much to me and my family,” Girardi said, “and I’m here encouraging New York legislators to pass a law that basically protects the integrity of the game.” He and Torre have traded in their pinstripes for a coat and tie, both now working for MLB directly. The pitch comes as the NY legislature works to broaden the existing sports betting language before its June 20 deadline. Under that 2013 law, activated by the recent US Supreme Court ruling, the four upstate NY casinos could soon be taking bets. MLB contends that any revised terms should include things like integrity fees and league control over the flow of sports data. The multi-pronged approach has included on-the-record testimony from lawyers, closed-door sessions with paid lobbyists, and now visits from local NY athletes. Lawmakers have also heard from former Knicks guard John Starks and Mets pitcher Al Leiter. Girardi was the Yankees catcher for four seasons, three of which ended with a World Series title. He assumed the role of manager after retiring, delivering another Yanks championship in 2009 — its 27th in history. You’ll find him providing analysis for the MLB Network these days. As you’d expect from someone talking sports betting on MLB’s behalf, Girardi featured the word “integrity” prominently. It’s because I care so much about this game. It’s been a part of my life since I was five or six years old. We’d to go Cubs games with my father. We would drive up three hours, ride with him as a little boy in his car and listen to games on the radio. And then eventually, I got a chance to live my dream and to be a player for many years and also a manager. So I worry about the integrity of the game. This is exactly the type of relatable story MLB hopes will sway the minds of lawmakers and the general public. The leagues have not, so far, received a warm reception in any statehouse, but they do seem to be gaining traction in NY. Bills on file in each chamber follow (or at least borrow from) their blueprint. The Democrat & Chronicle has the full Girardi interview. For all of his success in NY, Girardi probably won’t have his face bronzed and cemented in Monument Park. The team fired him last season, and most Yankees fans aren’t big Girardi fans. His predecessor, though, is already immortalized in center field. Torre is a Hall of Famer with an impeccable career as both a player and a skipper, including four World Series titles with the Yankees. His plaque now lives alongside all-time legends like Babe Ruth and Reggie Jackson. Today, Torre is one of MLB’s central figures and a key executive. He’s served as chief baseball officer since 2012, which essentially puts him in charge of all operations. When he speaks, folks tend to listen. Torre said he’s not lobbying for any particular side, and his statements aren’t substantive from a legislative standpoint. They’re really more about perception and feelings. I just want you to take care of our game. When you open it up to all of the people who would be involved in sports betting, there’s some potholes out there. And I want to do my part in just letting you know how I feel about the passion I have for this sport and, of course, all the fans who’ve enjoyed it for all these years. Do fans really trust baseball? The “trust” point is an interesting one. Fans don’t exactly distrust baseball, but it’d be hard to make the case that there’s complete trust, either. Compared to the other professional sports leagues, MLB has a pretty shaky track record when it comes to integrity. It’s been almost 100 years since the Black Sox scandal, but the scar is very much present. In 1919, a betting syndicate tainted some of the Chicago White Sox, convincing them to throw the World Series in exchange for gambling payments. If you’ve seen Field of Dreams, you’ll recognize the name Shoeless Joe Jackson. He and seven teammates are banned for life for fixing games. During the Girardi interview, a reporter asked where he stood on Pete Rose, the disgraced superstar expelled for betting on games he played and managed. Three decades later, Rose’s pleas for reinstatement remain a point of controversy within the community. “Thank you,” he was cut off by a man in a suit behind him, signaling the end of the interview. Pete Rose and the Black Sox are not favorite topics of conversation for MLB.